Mount Vernon Mill No. 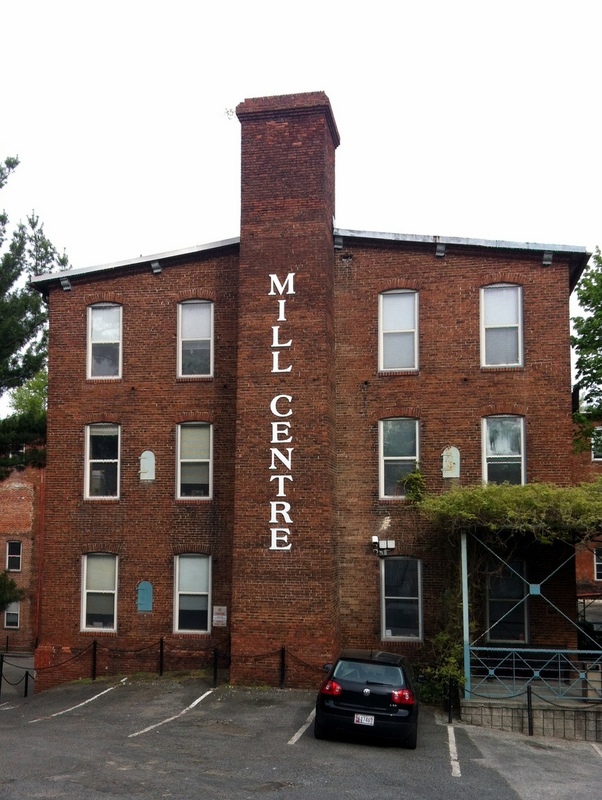 3, renamed Mill Centre in the 1980s, represented in 1853 an important expansion to Mt.Vernon Company. Led by president and former sailor Captain William Kennedy, both were among fourteen U.S. mills that—as part of a huge textile conglomerate—would capture up to 80% of the world’s demand for cotton duck in the early 1900s. Mount Vernon Mill No. 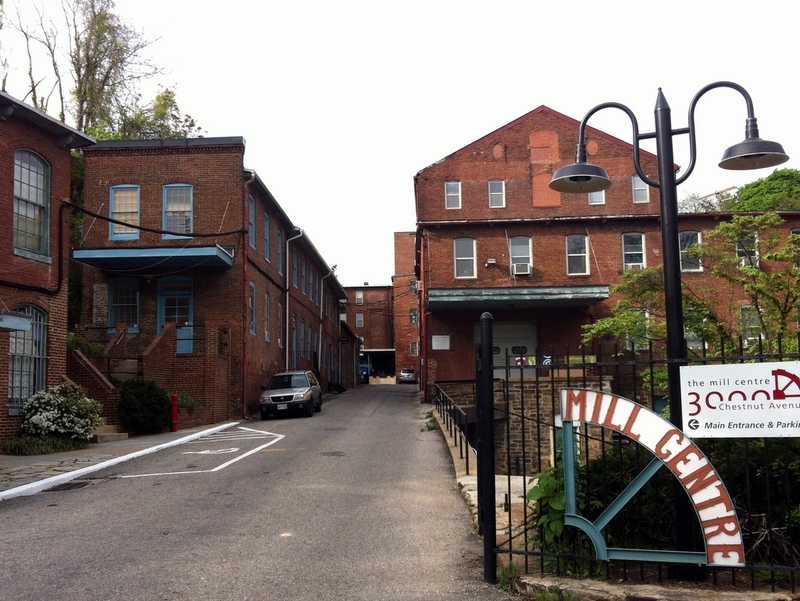 3 was once part of the network of mills owned by the Mount Vernon Mill Company. The village of Stone Hill, adjacent to Mill No. 3, was built around 1845 to house the growing workforce. Families housed in the cottage-like stone duplexes were brought in from surrounding rural areas by mill owners, who also built a company store, churches, a boarding house, and a school. By the 1880s, the combined mills employed 1,600 workers. Originally erected in 1853, Mill No. 3 was expanded in 1880 as demand for cotton duck increased. More housing followed, so much so that by 1888—when Hampden and Woodberry were annexed by Baltimore City — development had exceeded well beyond the original boundaries of the mill villages. A 1923 strike against an increase in hours with little increase in pay proved devastating for workers. Soon after, what was once Hampden’s major employer moved much of the mills’ operations to the South. 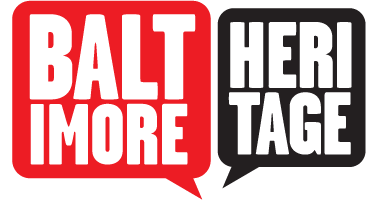 The company began selling off properties, and Stone Hill families in turn were able to buy their homes from their former employers. A new generation of manufacturers moved in and repurposed the old textile mills. 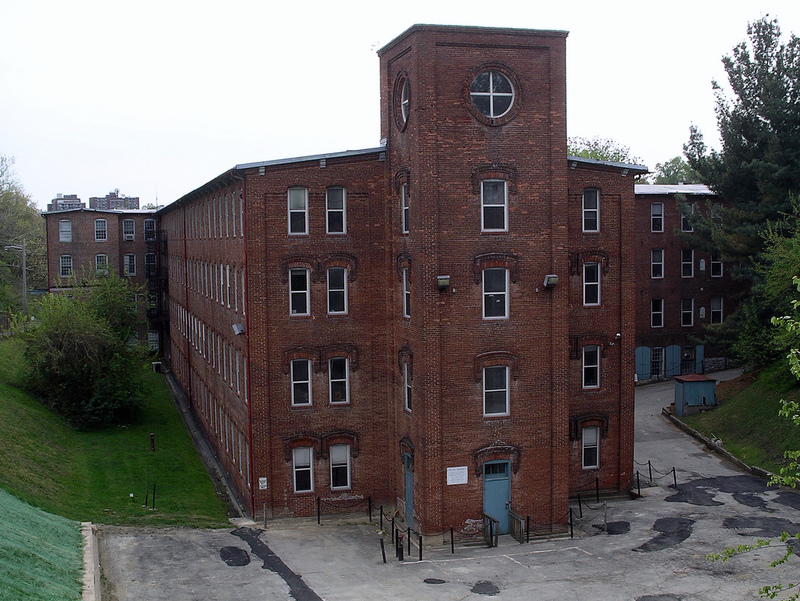 In 1974, Rockland Industries bought Mill No. 3, installed new looms, and produced assorted synthetic textiles. By 1986, the mill was once again sold and redeveloped into a complex of artist studios, galleries, and commercial office space. Today, the site is home to more than seventy tenants of various occupations. Nathan Dennies, “Mill Centre,” Explore Baltimore Heritage, accessed April 23, 2019, https://explore.baltimoreheritage.org/items/show/411. Published on Sep 10, 2014. Last updated on Dec 20, 2018.